Katie is going to help me launch an exclusive senior portrait campaign this summer, so we are working on both her model portfolio and the senior portrait experience at PaulBellinger Photography. 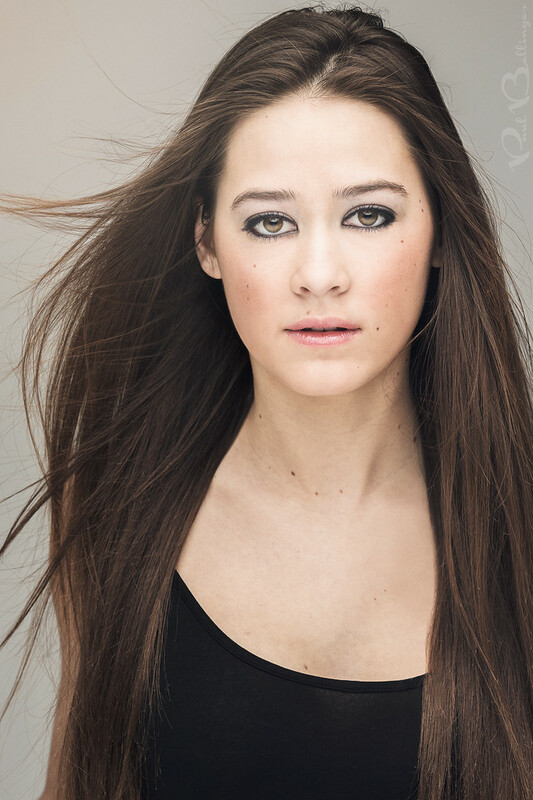 Katie will be the first senior portrait brand ambassador for Paul Bellinger Photography. The goal of the senior portrait experience with Paul Bellinger Photography is to make every senior woman feel like a fashion model, with professional hair and makeup, and a styling session with a professional stylist that will help each senior select a unique wardrobe. These exclusive senior sessions will have limited availability so that each senior can experience the luxury of being one of a kind. I used a standard beauty lighting technique for this photo, also known as clamshell lighting. This photo is lit with one light, a 6 foot umbrella above and in front of Katie, about a foot away from her. The umbrella is covered with a diffusion panel to create a super soft light. There is also a 4x8 foot white Styrofoam reflector sitting flat on a stand in front of Katie, just above waste high for her. You can see the light and the reflector in the catchlights in her eyes. This lighting is flattering for all skin types because it is so soft. The bigger the light and the closer the light, the softer it will be, and in this case I have a huge light source, huge reflector and both are very close to the subject. You can substitute the reflector for another light source from below, but be sure to turn it down 1/3 to 1/2 stop so that the overhead light still casts a tiny tiny shadow to shape the face. Notice tiny shadows under Katie’s nose, on her cheeks and under her chin and jaw line. Those shadows are crucial to give a little bit of dimension.